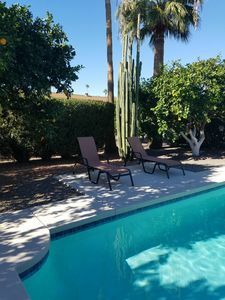 Whether you're looking to escape the winter blues or simply want to experience everything the Phoenix area has to offer, this gorgeous Goodyear vacation rental house will serve as your ultimate warm weather oasis! 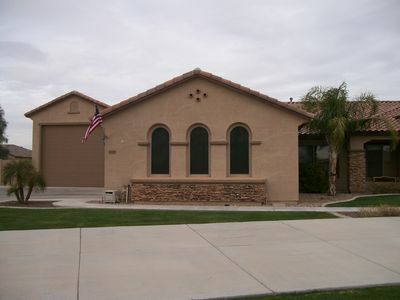 This exquisite home features 4 bedrooms, 3 full bathrooms, and enough room to comfortably accommodate 8 guests. 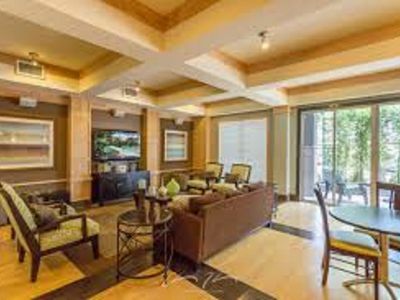 Enjoy the fabulous outdoor area, offering a sparkling private outdoor swimming pool, fruit trees, mini palm trees, and a putting green! 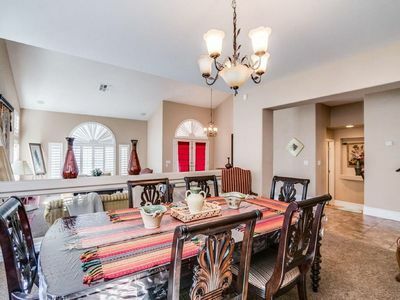 Featuring 4 bedrooms, 3 full bathrooms, and enough room to comfortably accommodate 8 guests throughout 2,000 square feet of tastefully decorated living space, this beautiful residence is the perfect size and layout for a family or group of close friends traveling together. 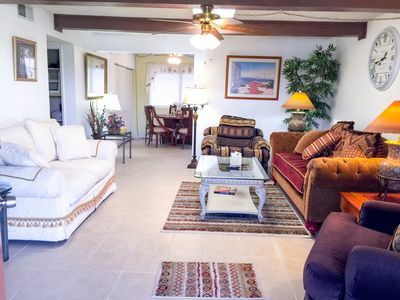 You and your companions will quickly fall in love with the home's fabulous outdoor area, offering a sparkling private outdoor swimming pool, fruit trees, mini palm trees, and a putting green, where you can practice your game before teeing off at one of the area's many excellent golf courses! 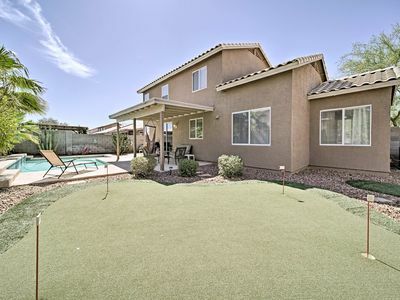 Look forward to spending many leisurely afternoons lounging by the pool while relishing in Arizona's balmy weather. 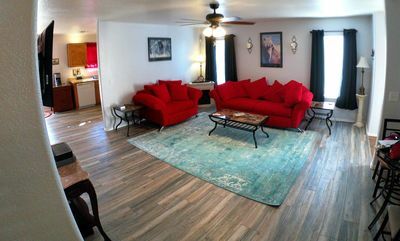 If you're in the mood to spend some time indoors, you'll find plenty of entertainment options in the home's game room, which comes with a dart board, video games, and a table to play cards. 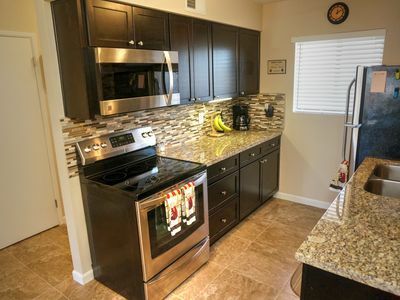 Prepare your favorite home-cooked meals in the fully equipped kitchen, complete with all the necessary cooking appliances. 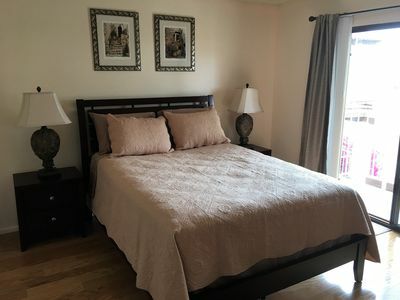 All the other amenities you need to be as relaxed as possible are here, including in-unit laundry machines, cable TV in the living room and all bedrooms, and wireless internet access, so you can easily keep in touch with friends and family back home during your stay - they'll be jealous of your trip! You can't beat this property's fantastic location, particularly if you're a sports fan! 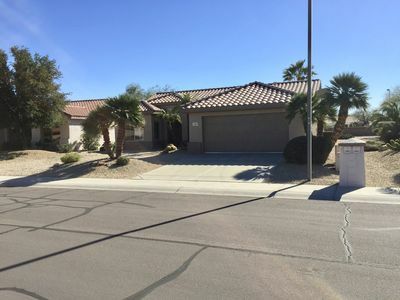 This house is conveniently located only 1 mile away from the Cincinnati Reds and Cleveland Indians spring training baseball facility, 5 miles from the nearest golf course, 8.5 miles from the Nascar track, and 15 miles from the Arizona Cardinals football stadium. 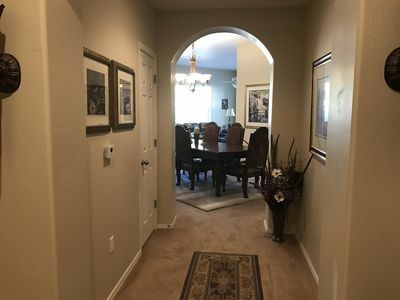 You'll also find a variety of great restaurants and shopping spots within close proximity of the house, so you certainly won't have a shortage of things to see and do! 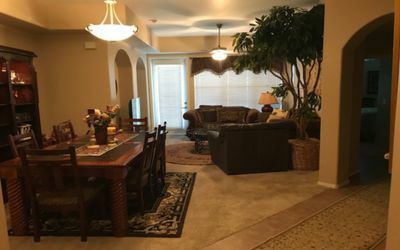 However you choose to spend your time during your visit to the Phoenix area, this wonderful Goodyear vacation rental home will not disappoint! - Outstanding location! 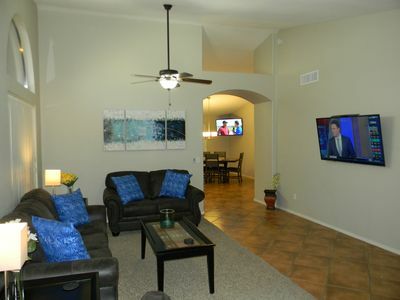 Easy access to golf courses, baseball spring training, shopping, dining, Nascar races, and the Arizona Cardinals football stadium! ONE OF THE LARGEST AND BEST IN PARK PLACE! 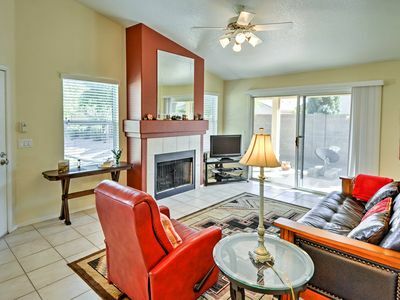 Gorgeous & Luxurious w/ 3 bedrooms! BOOK NOW for July 15-28th dates! Location, Lifestyle, Luxury! 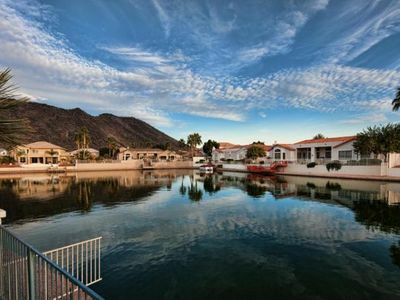 Palisades Estate has it ALL! 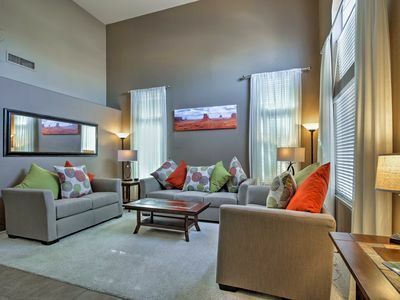 LARGE & BEAUTIFULLY FURNISHED W/ 1309 SQ. FT.! 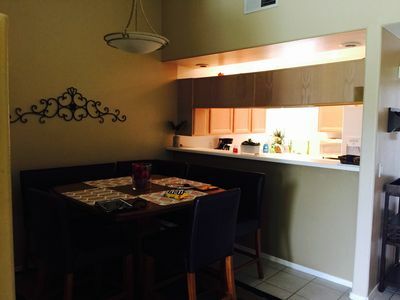 2 BEDROOM + DEN W/ SOFA SLEEPER. 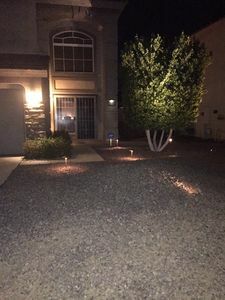 Beautiful Home w/ Hot Tub- Near Cardinals Stadium! ALL NEW! 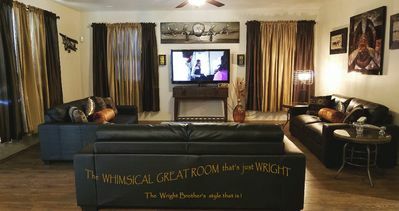 Whimsical Travelers Retreat, another STYLISH VACATION RENTAL!